Attorney Carilyn Ibsen's Blog: DWI on a Golf Cart? DWI on a Golf Cart? As the Charlotte area grows and planned communities suddenly appear next to small two lane roads, so do the golf courses. However, many homeowners are investing in golf carts even when they don't play golf. Golf carts now appear at school bus stops, Harris Teeter parking lots and often times outnumber vehicles in retirement communities such as Sun City in Indian Land, SC. However, drive with caution. 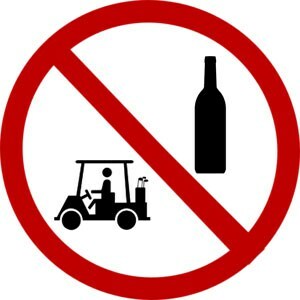 In North Carolina, you can be arrested and charged with driving while impaired when operating a golf cart. If you are driving a cart on a public roadway, you are held to the same standards as if you were driving a vehicle. Surprising to many, there have even been impairment cases on bikes, lawnmowers and horses. I recently handled a golf cart driving while impaired case in Mecklenburg County. My client was charged with DWI, reckless driving and hit and run. The case was ultimately dismissed after I successfully argued a probable cause to arrest motion prior to trial. My client had allegedly driven a golf cart to a local restaurant, driven home and hit a parked car in an apartment complex. The court granted my motion to dismiss for lack of probable cause to arrest my client. This case had a successful outcome for my client. However, this case was treated and argued the exact same way as a vehicle driving while impaired case. Proper motions were argued and relevant case law was utilized to support our position. Most importantly, police officers, the district attorney and judges do not consider it mitigating evidence that a person chose to get behind the wheel of a golf cart instead of a vehicle. If you have been charged with a DWI or traffic case in the Charlotte area, contact the Law Office of Carilyn Ibsen for a legal consultation at (888)543-2427.